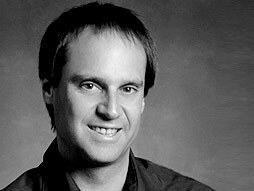 JEFF SKOLL was the first employee and first president of eBay. He is the founder of Participant Media, a Los Angeles based media company which funds feature films and documentaries that promote social values. Its first three films were Syriana, Good Night, and Good Luck, and North Country along with the documentary Murderball. These films accounted for 11 Oscar nominations in 2006. He is also the founder of the Skoll Foundation, a philanthropic foundation that supports social entrepreneurship.